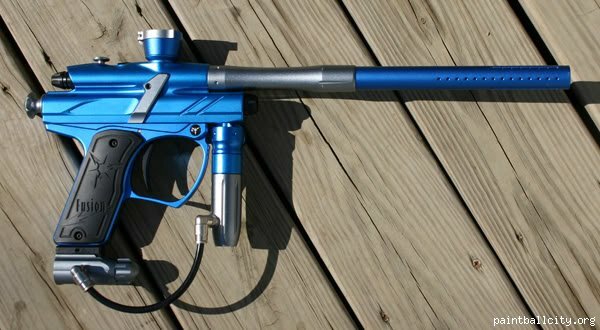 The Fusion was DP's first and original gun into the paintball market. The Fusion is an all metal body, Autococker threaded design, with a center feed and locking ring. Players also have the ability to purchase a 99% complete parts kit, with a new solenoid, eyes, etc included. Everything you need to fix your gun on the field.